The Eragon games, based on the movie adaptation by 20th Century Fox, which in turn was based on the novel in the Inheritance Cycle by Christopher Paolini, is not so much a series of sequels but rather a range of games on various platforms based on the same story. The main game, featuring the likeness and voices of the movie characters, was designed by Stormfront Studios for the IBM PC, Playstation 2, XBox and XBox 360. However, completely different versions were also made for the Game Boy Advance, Nintendo DS and Playstation Portable. All versions were released in late 2006, shortly before the release of the movie. Eragon is the first novel in the Inheritance Cycle by Christopher Paolini. After writing the first draft for a year, Paolini spent a second year rewriting and fleshing out the story and characters. His parents saw the final manuscript and decided to self-publish Eragon, which the young Paolini spent a year traveling around the United States promoting. By chance, the book was discovered by Carl Hiaasen, who got it re-published by Alfred A. Knopf. The re-published version was released on August 26, 2003. 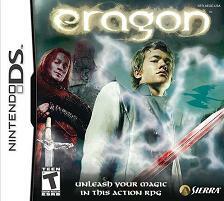 The book tells the story of a farm boy named Eragon, who finds a mysterious stone in the mountains. Not knowing the stone's origin or worth, he attempts to use it as payment to a butcher. A dragon he later names Saphira hatches from the stone, which was really an egg. When the evil King Galbatorix finds out about Eragon and his dragon, he sends his servants, the Ra'zac, to capture them. Eragon and Saphira are forced to flee from their hometown, with a storyteller called Brom, and decide to search for the Varden, a group of rebels who want the downfall of Galbatorix. Eragon was the third-best-selling children's hardback book of 2003, and the second-best-selling paperback of 2005. It placed on the New York Times Children's Books Best Seller list for 121 weeks and was adapted as a feature film of the same name that was released on December 15, 2006. A film adaptation of Eragon was released in the United States on December 15, 2006. Plans to create the film were first announced in February 2004, when 20th Century Fox purchased the rights to Eragon. The film was directed by first-timer Stefen Fangmeier, and written by Peter Buchman. 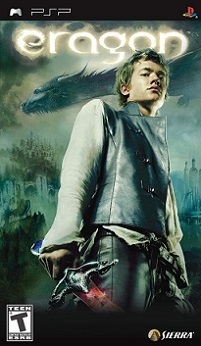 Edward Speleers was selected for the role of Eragon. Over the following months, Jeremy Irons, John Malkovich, Chris Egan and Djimon Hounsou were all confirmed as joining the cast. Principal photography for the film took place in Hungary and Slovakia. 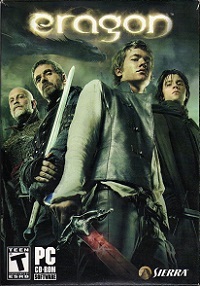 Despite earning mediocre reviews, Eragon grossed approximately $249 million worldwide, making it the fifth highest-grossing film with a dragon at its focal point.